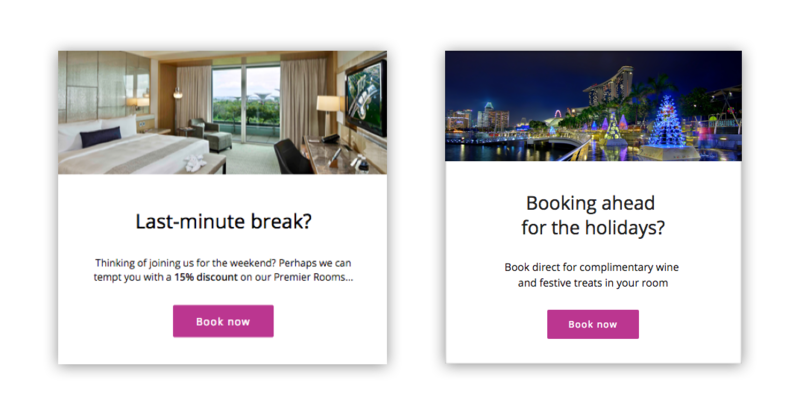 When it comes to driving direct bookings on your website, there’s one not-so-secret tool that can power thousands of different types of message. From running a quick flash sale to location notifications to showing specific reviews to customers from particular countries or states, there are so many ways to make Triptease messages work for your business. 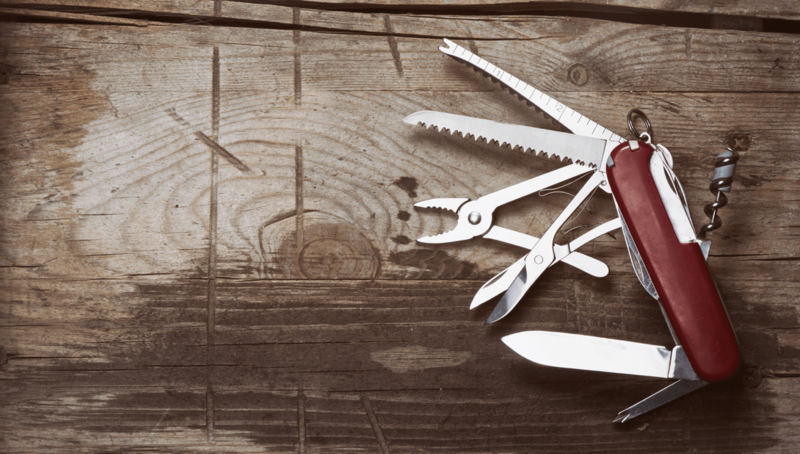 But with so much choice available, it’s essential that you’re able to test your ideas, monitor their performance and make quick changes easily. That’s why we recently added a variant testing feature to the Message Builder, allowing you to test two versions of one message at the same time and track which one performs best for your business. Target potential guests with a voucher code to enter when booking. 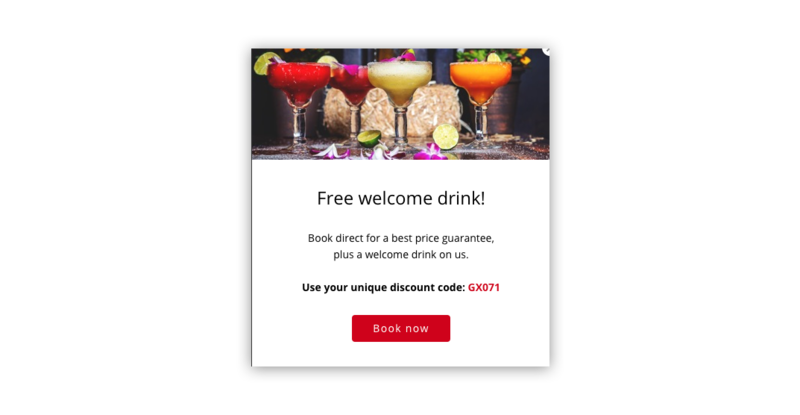 Simply add the voucher code to your message text, and set up your targeting to display that message only to customers who fit certain criteria (i.e. booking for seven nights or more). Want to show potential customers exactly how close your hotel is to the local sights, conference center or beach? 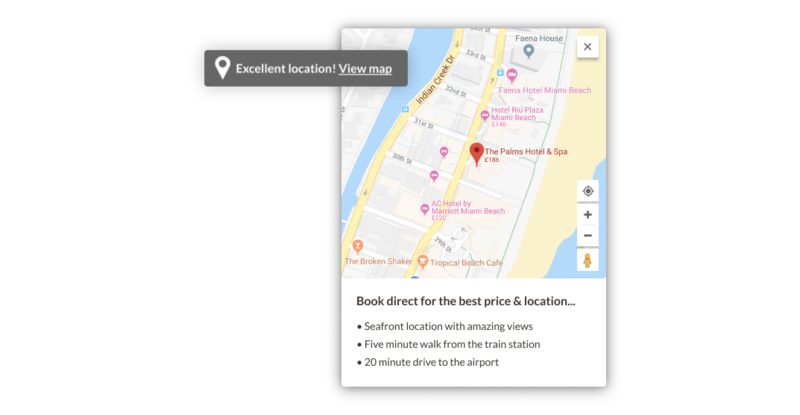 A Location Notification displays a short note about the location of your hotel, with a clickable link that opens a Google map showing exactly where the property is. Under the map there is space for three location highlights, explaining the benefits of staying in the area. OTAs frequently use urgency, scarcity and social proof messaging to encourage visitors to book. 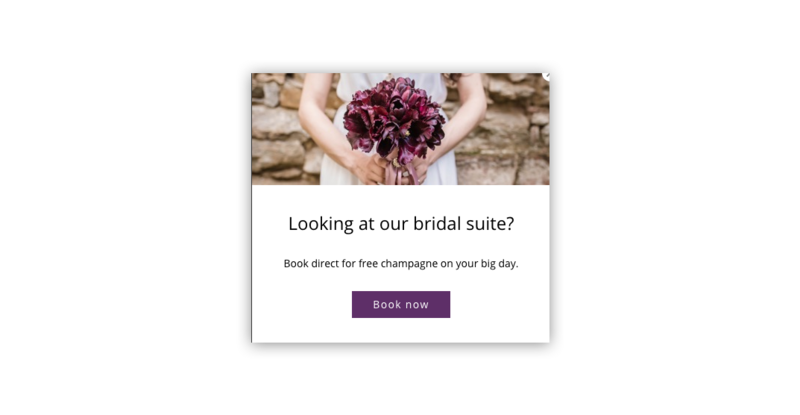 We’ve run lots of guest user testing sessions to confirm that these kinds of messages really do enhance the customer journey and - when used in the right way - they are very effective. A Searcher Notification displays a short note that lets visitors know the number of people that have searched over the past 24 hours. This gives potential customers the impression that the hotel is a popular choice, creating a sense of urgency that should help drive them into action. Booker Notifications function in a very similar way to Searcher Notifications in that customers can see how many people have booked on your website in the past 24 hours. A Booker Notification will only display if there has been more than three bookers in the past 24 hours - so you don’t need to worry about this message appearing when you haven’t had any recent bookings. Show relevant reviews to guests by setting up messages that display them to the right customers. Had a rave review from a business client in the USA? Use the image function to display that feedback to everyone who visits your corporate rates page. Alternatively, you could use URL targeting to display your star rating to anyone who visits your homepage or booking engine. Running a flash sale is simple with Triptease messaging. The Message Manager displays the date at which a campaign was set live so you can easily close down your flash sale instantly when you’re ready. Want to run it to a specific date? Use the advanced and last minute targeting options to specify the date by which customers will need to have booked by. 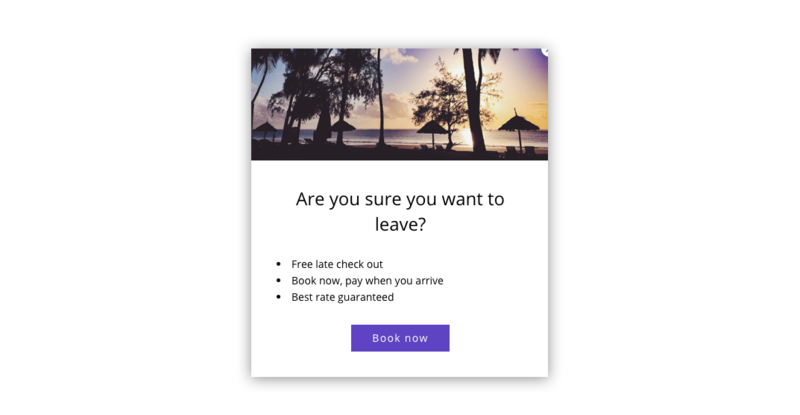 Use Full Screen Exit Messaging to keep customers on your website if they look like they may be about to book somewhere else. Exit Messages are triggered when visitors have taken an action that suggests they are about to leave your website. At this point you can show them your direct booking benefits and encourage them to stay and book direct. Help potential guests and show them relevant messages even if they’re not showing signs of leaving your website. Nudge Messages appear on page load or on a timed delay - not just on exit - and they’re much more subtle than a Full Screen Message. That means you can serve relevant information and offers to your customers at the right time and in the right way. We originally built the Message Builder with standardized designs so that any hotel could create customizable website messages in minutes - but we understand that many hotels want access to change everything from the colors and fonts to the size and shape of their messages. You can now easily override our pre-built message types with a custom graphic of your choosing. This means your designer can create something completely bespoke that is 100% consistent with your brand and the intent of your message. When you’re being undercut by all OTAs, Price Check won’t appear on your website. But even if you’re not currently in parity, it’s still worth trying to convince guests that direct is best. 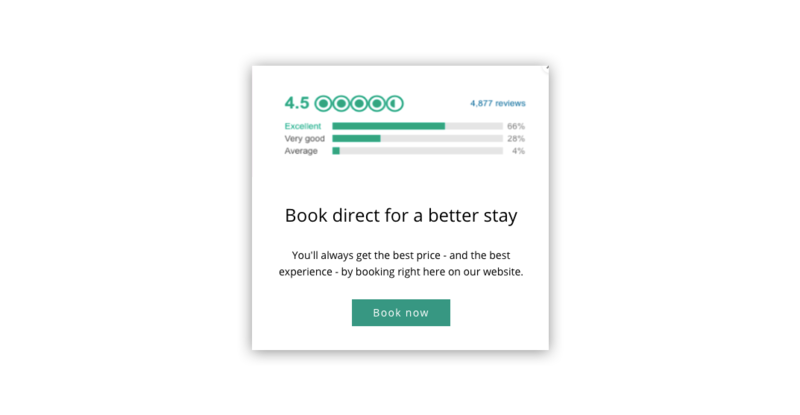 A Pricing Undercut Message will display on your booking engine rooms and rates page where Price Check would usually display if you weren’t being undercut. Want to dive even deeper into Message Porter’s targeting capabilities? Here are some ideas our clients have been trying. If your data shows that customers from the USA are likely to spend the most when booking a hotel room, you can target American customers with specific discounts on high value rooms. Target by country and length of stay (i.e. more than seven nights) to ensure only high value customers see this message. Target guests looking to arrive on a specific date with a tailored offer. 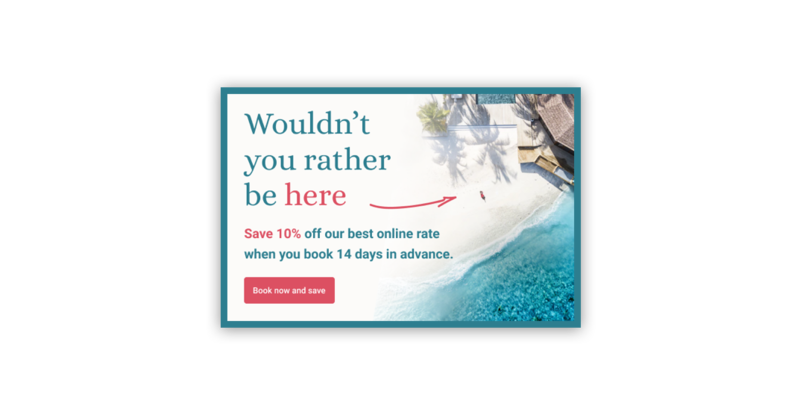 National and international holidays, seasonal offers and dates when your occupancy is generally low can all be used to trigger targeted campaigns for guests with specific check-in dates. Guests booking far in advance or at the last minute can also be targeted with tailored content to help them book. Select Booking date and choose either Advanced or Last minute. Guests searching in advance for dates over the holiday season could be shown an exclusive festive offer, for example, while customers booking at short notice for the weekend ahead could be encouraged to fill any empty rooms with a specific discount or direct booking benefit. If a visitor has come back to your website more than once it’s a strong sign that they’re interested in booking your hotel. Give them the extra encouragement they need with a message to book direct when they return. Need to fill up rooms on low occupancy days? Use arrival day and length of stay targeting to make sure your hotel is always full. So… over to you! 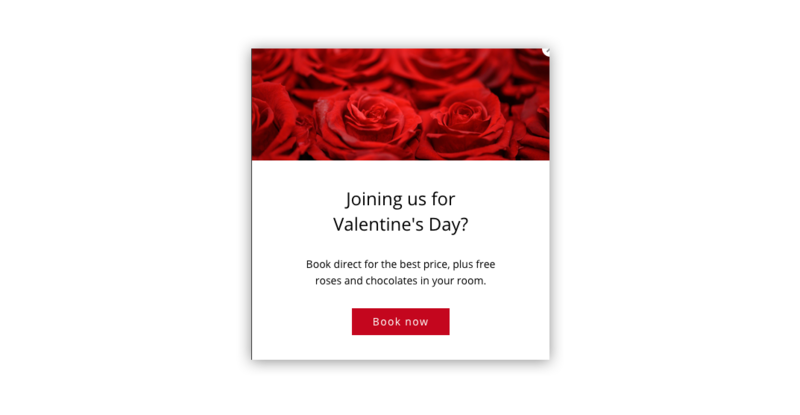 We’d love to hear how you’ve been using website messaging to encourage guests to book direct. And if you're looking for further inspiration, get in touch with our Customer Success team to discuss bespoke ideas for your website.